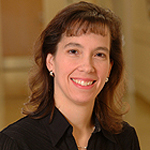 UNMC › Radiology › Faculty › Sandra Allbery, M.D. Allbery SM, Swischuk LE, John SD, Angel C. Post-Operative Intussusception: Often an Elusive Diagnosis (Letter to the Editor). Pediatric Radiology 1998; 28(4): 271. Swischuk LE, John SD, Allbery SM. Disk Degenerative Disease in Childhood: Scheuermann’s Disease, Schmorl’s Nodes and the Limbus Vertebra: MRI Findings in 12 Patients. Pediatric Radiology 1998; 28(5): 334-338. Allbery SM, Swischuk LE, John SD. Intraventricular Bleeds in Prematures: Can Grading be Accomplished with Clot Size Alone? 2009 Submitted for publication. Lanfranchi M, Allbery SM, Wheelock L, Perry D. Pulmonary Interstitial Glycogenosis. Pediatric Radiology 2010; 40:361-365.